Dentistry: Our dental services include teeth cleaning and polishing, tooth extractions and oral surgery on dogs, cats, ferrets and rabbits. Beak trimming is performed on birds. Laboratory: Our in-house laboratory facilities provide for serum, chemistry, hematology, serology, urinalysis and parasite testing. We can have results in as little as 20 minutes. In house diagnostic tests are performed for Heartworms, Lyme disease, Ehrlichia canis and Parvovirus in dogs and Feline Leukemia Virus and Feline AIDS in cats. 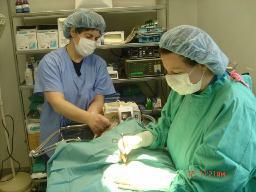 We also utilize commercial veterinary laboratories for specialized diagnostics and biopsies. Dietary Counseling: We will provide guidance regarding your pet's nutrional needs for each life stage, including growth, weight maintenance and performance. 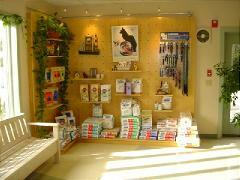 We carry a full line of prescription dietary products from Science Diet, Innovative Diets and Eukanuba. Diagnostic and Therapeutic Services: Our hospital is equipped to provide the most up to date diagnostic and therapeutic services to care for your pets' complete health care needs. Anesthesia: We utilize the safest available anesthetics to provide that extra margin of safety, especially for our older or high risk patients. The patient's vital signs are monitored during all anesthetic procedures using an ECG, pulse oximeter and blood pressure monitoring devises. Electrocardiography Services: We provide ECG services on-site as well as consultations with cardiology specialists. Echocardiography is performed by appointment in our hospital. Radiology Services: Our on-site, modern X-ray equipment provides high quality radiographs to aid in the diagnosis of many disorders. We can have results in as little as 10 minutes. Abdominal ultrasounds are performed by appointment. Individualized Flea and Tick Control Programs: We develop programs for the specific needs of your pet and your own particular environmental situation. 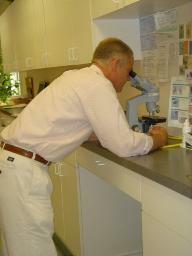 We will review with you the best ways to control fleas and ticks in your house, in your yard and on your pet. Ticks are the source of many infectious diseases in southeastern Massachusetts. Safe control of these external parasites with minimal chemical exposure to your family and pet are emphasized. Boarding: We can recommend boarding facilties in our area with the best reputations. Bathing: Therapeutic bathing services are available. Emergency Care: Please call 508-758-6400 for instructions for after-hour emergencies. 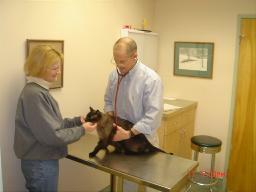 Our veterinarians are available until 10 PM daily. 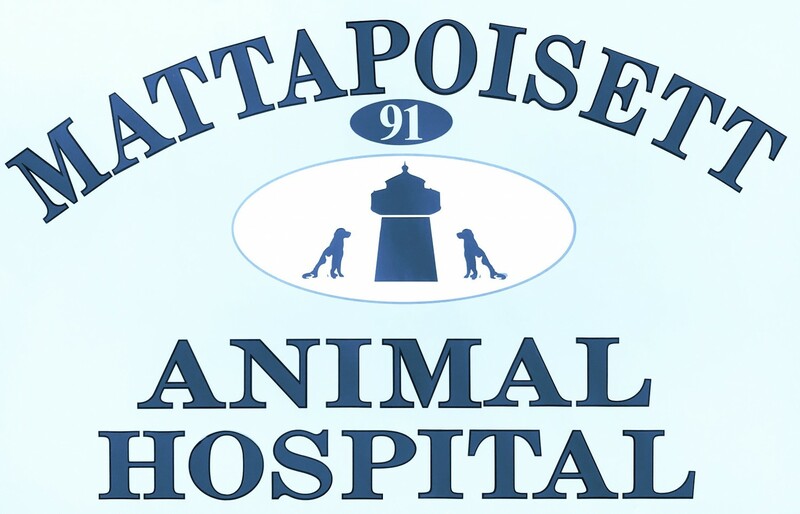 For afterhours critical emergencies call the Animal Emergency Center in West Bridgewater at 508-580-2515.